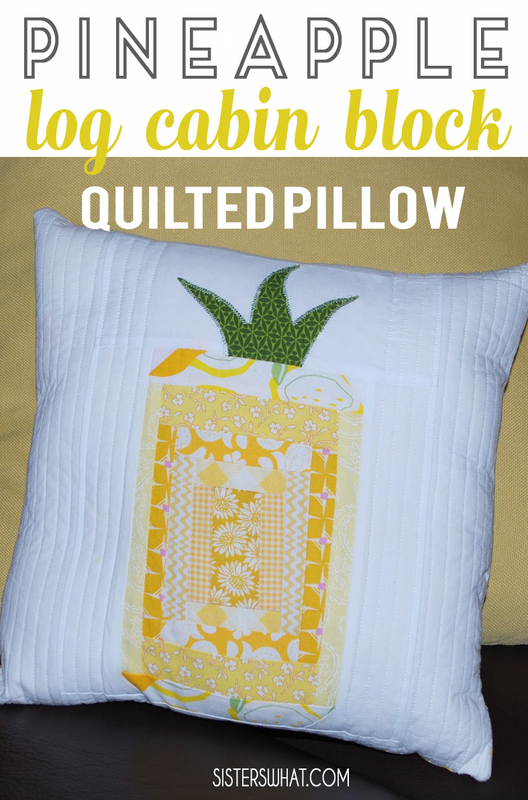 ' Log Cabin Quilted Pineapple Pillow - Sisters, What! Sierra has a thing for pineapples. I think it has something to do with the show "Psych"...not really sure. Anyway for Christmas a little bird (Hava) gave me the idea to sew her something with a pineapple on it. Because she likes to take her pineapples with her everywhere I thought of a pillow. Good news...she loved it and I had a lot of fun putting it together for her. Pillows are such a great way to do just a little bit of quilting at a time. Plus a pillow is small enough that I can do the quilting myself. LOVE that. And you know we have a thing for pineapples. 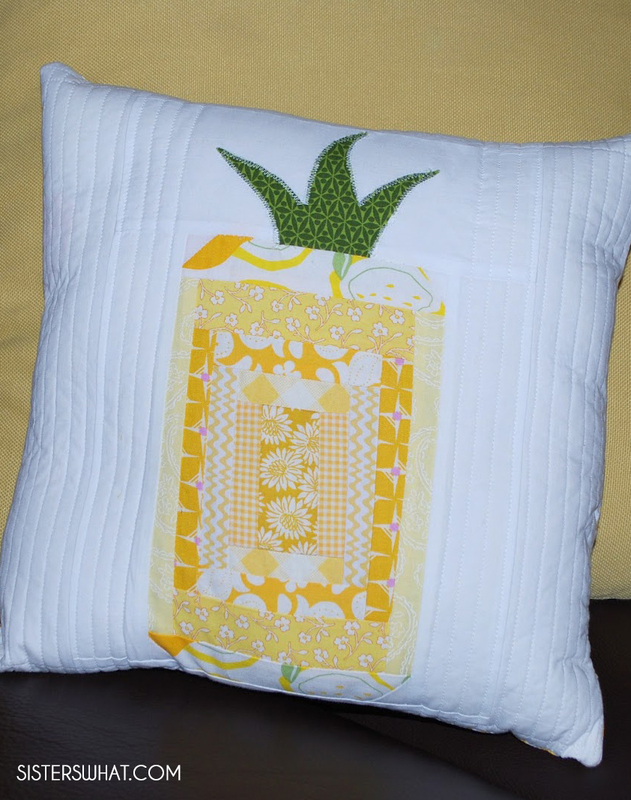 Recently pineapple pillow made out of fleece, pineapple art and pineapple water coloring page. 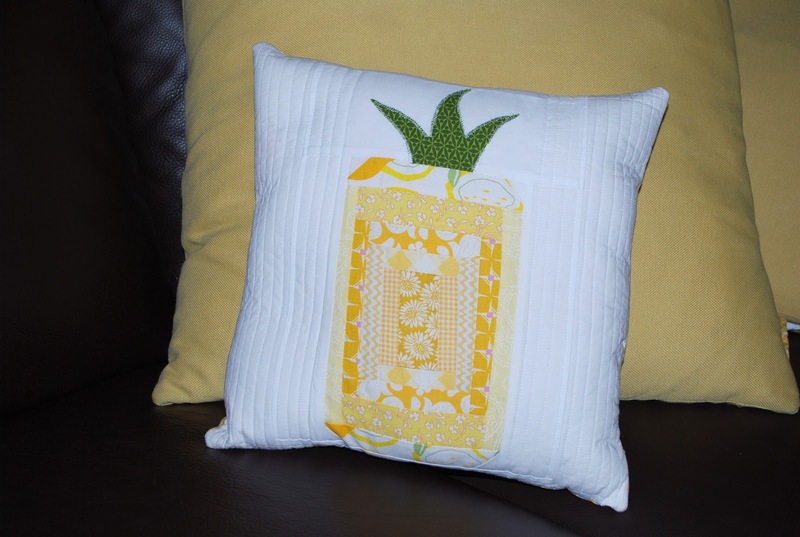 This quilted pineapple pillow was done using a simple log cabin quilted pattern. I used scraps of different color yellows making a beautiful scrap pillow. Thus this is a great project for scrap fabric or perfect for fat quarters. Love the fabric choice. What is the pillow cover made out of? Cute! I love pineapples too- they remind me of being somewhere tropical.